Getting together quality sleepover party ideas shouldnt be difficult, and the best way to plan your food shopping will be through the different stages of the sleepover. The food that you provide can help make or break the party and you need to be careful to tread the fine line between serving only junk food and giving them things that are considered too healthy for a party. Overall, the dinner should be a sit down affair, while any snacks and treats need to be food that they can grab and go back to the sleepover. The best sleepovers start in the early evening, usually after school and definitely in time for dinner. This gives the children enough time to digest a big meal and have some fun under adult supervision before going to the bedroom and talking all night. Be sure to check with all guest parents for food allergies or any special dietary requirements, such as vegetarianism or veganism. 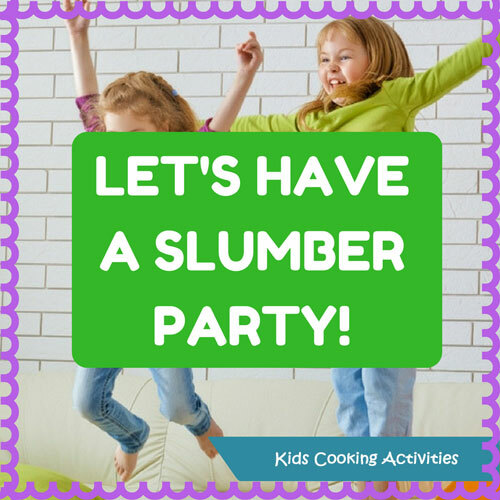 Your best bet for mealtime sleepover party ideas for dinner will be your childs favorite meal as youll know you will have at least one happy customer but there are a lot of fun foods that the kids can get involved in. It is a fun idea to have something for dinner that the guests help prep their own food such as homemade pizzas or homemade pasta. Or you could prepare something that the guests can in turn assemble their own choices such as Hawaiian Haystacks, a pasta party with different sauces to choose from such as tomato based sauce and a alfredo sauce or a taco bar. Once the main meal is over, youll want to start the sugar rush in a controlled fashion. Depending on the reason for the sleepover, you may want to think of some sleepover party ideas in the shape of cakes to form the centerpiece of the desserts. If theres no particular reason for the sleepover, you may want to start the independent eating by providing all the necessary resources for an ice cream sundae such as hot fudge sauce, strawberries and whipped cream. On a similar line, you could make a small fire outside and help them to make Smores. Half the fun of cupcakes is decorating them. 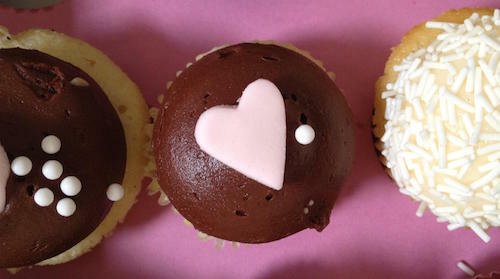 Have the cupcakes ready and waiting for your overnight guests to decorate to their hearts content. I recommend mini cupcakes so each party-goer can decorate and eat more than one. Lay out a supply of different frosting colors, writing gels, candies, sprinkles, and any edible embellishments you can think of. The more the merrier. Prepare the area, and yourself, for a mess! But, also be prepared for some great memories and lots of perfect picture opportunities. A classic like this Rice Krispie treats never goes out of style, for many reasons. 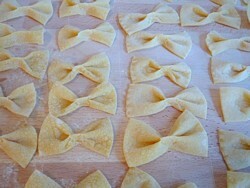 They are easy to make and you can get the kids involved right from the beginning. Measuring, counting the marshmallows, stirring, and pressing out the treats are jobs that kids of slumber party age can do with a little bit of supervision. Once the base is formed, the rest is pure pleasure. Again, you want to go overboard with the edible decorations. Remember to include melted chocolate and peanut butter for these treats. But also consider candies, frosting, sprinkles, and even food coloring. It's all about having fun making this popular treat, even before having fun eating them. 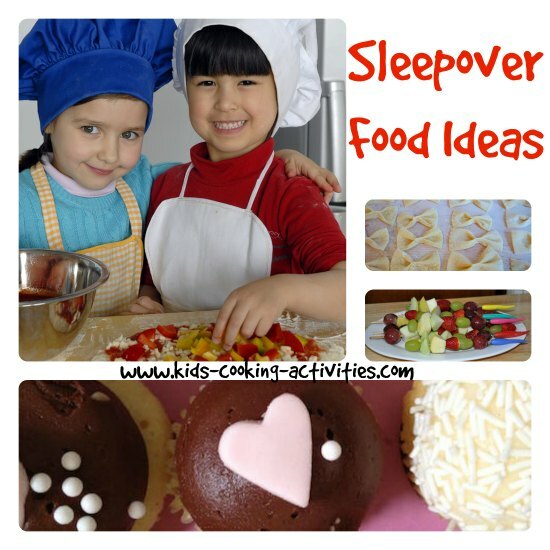 No sleepover would be complete without a midnight snack, but getting the right sleepover party ideas and food will be important. Providing too many sugary snacks will make your guests feel sick as well as leaving you having to deal with grumpy children suffering from a sugar crash. Likewise, too many salty snacks will make them incredibly thirsty and hot, which can lead to different problems. Leaving out plates of fruit such as pineapple and bananas with dipping chocolate could be a great way of balancing out sugar levels. Vegetable sticks like carrots and celery served with hummus and salsa is a good way of getting something savory on the table as well as possibly introducing them to new foods. 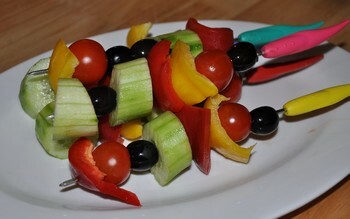 Instead of vegetable or fruit platters you could have fruit kabobs or vegetables on skewers for a fun change. Watermelon Cut outs can makes a nice treat for summertime slumber parties. Slice the watermelon into about one inch thick circles or semi-circles. Lay the watermelon out on a work surface and put a pile of cookie cutters in the middle. The guests can use the cookie cutters to cut the watermelon into shapes they like. Arrange the watermelon shapes on a big tray and share the 'cookies' with all the party-goers. This is a refreshing treat late at night after the pizza or other heavier foods. You can do this with other fruit as well and create a mix-and-match tray with a variety of different shapes for each guest to enjoy. Depending on what time the party winds down, you will likely need to think about providing breakfast for the morning after. You can plan to serve something light, as theyll have eaten quite a lot overnight. Foods such as fresh fruit and cereal and cups of juice, chocolate milk or water. Or you can have kids help cook breakfast. Depending on the size of the party, ideas for cooking could be French toast, pancakes or muffins. The most important thing about sleepover party ideas are to plan ahead with your child before heading to the store. By allowing your child to be a part of the decision making process for the food, youre making sure that they have some control over the success of the sleepover. Getting kids involved in cooking dinner, a snack or breakfast during the party is a great way to sneak in some cooking fun. 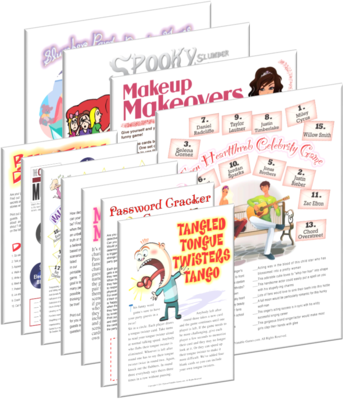 Check out some of our Cooking Games to add to your party fun!